These courses are for members only. Accredited Level 2 Health & Safety in the Workplace for all catering & hospitality sector staff. This flexible online video-based course following the approved UK syllabus is filmed on-location in a commercial kitchen and hospitality premises. Fully accredited by QUALIFI, an OFQUAL regulated UK Awarding Organisation, this course provides an in-depth understanding of a range of threats to the Health & Safety of catering and hospitality workers focusing on kitchen and goods-in/moving vehicle hazards. Includes basic risk assessment, how to minimise threats to personal safety, and emergency First Aid essentials. Includes FREE unlimited online exam entry leading to a nationally recognised qualification (Endorsed Award) from OFQUAL regulated Awarding Organisation (certificate available as PDF download), and staff progress tracking system with every multiple purchase. (We recommend you compare these benefits carefully with those offered by other providers). Many online courses offered don't have the backbone the nice looking website try make them look like they have. We have added this section to allow you to see what we have behind our awards and how hard we work to give you the highest standard we can possibly achieve. Do I need health & safety training? Yes you do so that you comply with current legislation. Food handlers must receive appropriate supervision, and be instructed and/or trained in food hygiene, to enable them to handle food safely. There is no legal requirement to attend a formal training course or get a qualification, although many businesses may want their staff to do so. The necessary skills may also be obtained in other ways, such as through on-the-job training, self-study or relevant prior experience. The operator of the food business is responsible for ensuring this happens. Does the training have to be an accredited Level 2 course? Your training does not have to be accredited. We think it's important to give you honest answers. you apply food safety practices and methods in your workplace. An EHO’s role is primarily to ensure that you are preparing, cooking or serving food to the general public in a safe manner and it will not harm anyone. Your training may be in-house, a CPD (Continuing Professional Development) course or fully Accredited. The important point is that you receive training, understand it and put it into practice. Will an EHO accept my Level 2 health & safety certificate? Our training course meets the required standards recognised by an EHO, but you will have to demonstrate proof of learning and that you are implementing this knowledge into your everyday role. Environmental Health Officers MUST remain impartial. They cannot favour one training company or product over another. This is worth knowing if an EHO queries your choice of provider. Our course meets nationally recognised standards that an EHO must recognise because of the steps we have taken to satisfy Qualifi, our accrediting body. The role of an EHO is to ensure that you are preparing, cooking or serving food to the general public in a safe manner and it will not cause injury to a person. Do the courses have ‘use-by’ dates? If you register and pay for a course yourself you will have 30 days access to complete the course training material and the test. It may be useful to know that most applicants complete the course within 1-2 days. If you buy multiple courses, or a bundle for you and your staff, the 30 days starts when each member of staff registers a course code. This means that you can buy as many course codes as you like and use them as and when needed. When you have gained a pass in the exam, the course access ends, leaving you to download your pass certificate at anytime; just log back in. When it comes to your training requirements we want you to have as much flexibility as possible. Is the Level 2 health & safety certificate instant? 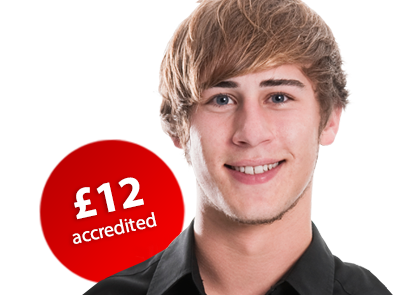 We want you to get your pass certificate straight away and we also want to give you a great price on all our courses. For the Level 2 food hygiene course we do not print and post certificates as this would significantly increase the cost of the course to you which is not good news for anyone. Why should I buy your Level 2 health & safety course? As a company our mission has always been to deliver the highest quality accredited training at the lowest possible cost. This is the main reason why we have been extremely successful in developing strong relationships within the major food service groups. Fantastic experience, easy and fast to learn. Thank you! Completed this course yesterday, i found it very informative with easy to follow instructions, and actually quite enjoyable. Each section was compiled into easy to absorb pieces, i particularly found the fire section very in depth. i would definitely recommend this to other colleagues and friends as it is quick to do in work time,or finish at home in the evening. This e-learner course was very good, I learnt a lot. The e-learning Software is user-friendly,easy to navigate. I can recommend The Safer Food Group to other customers to do the Health & Safety course.I am delighted with this course as it was an eye opener in many areas. I found this course really easy to do and very informative. I would encourage everybody to do this as its really helpful information to know especially in the hospitality industry and also for yourself when you are going out for food. I recomended other staff members at work to do this course and they were surprised on how long it took to do.